The last four years for Avenged Sevenfold have been pretty painful to say the least. Their last album, all the way back in 2010, saw them take a step back from the fast and furious guitar riffs they were accustomed to and take a slower, more lyrically driven route, to help them deal with the tragic loss of drummer 'The Rev'. 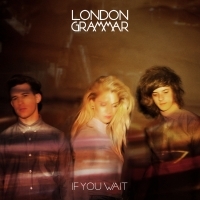 Now, this album was a very nice change. The lyrical melancholy and change of musical pace was something I didn't expect from the guys from California. 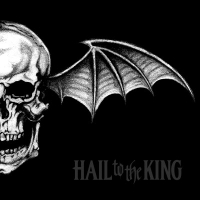 Since then, they've been quietly working on their follow up 'Hail To The King' and it is clear that the Avenged Sevenfold camp may never be the same again. It is with harrowing words that I say that the hectic drumming and guitar riff orgies that they made their name for, may never return. However, a new beast has emerged and it is more mature and more metal than they have ever been. 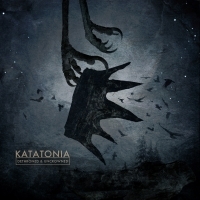 I had always anticipated my response to the sounds of a metal album to be the sort that evoked physical pain, rather than emotional joy. I'm not referring to a headache here - more the pulsating migraine type that only a strong dose of Co-codamol could cure. Rap and R&B are two genres that I don't normally listen to. No reason at all behind that choice - although I imagine it has something to do with growing up with an older brother who was into heavy metal. However, I do love a good underdog story - whether it be in films, books, sports, or just life in general. 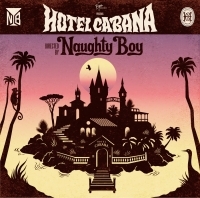 And that is the one and only reason that I decided to take an hour and a half out of my life to listen to Naughty Boy's début album 'Hotel Cabana'. I am wonderfully surprised by just how much of a solid and well-produced album it is. I am totally shocked by how good it is - I now like R&B! That is something I thought I would never see myself admitting to. Making a second album is always going to be tough. In my eyes it is probably the hardest thing a band has to do, as they have to keep their current fan base happy, while also trying to branch out and gain new fans at the same time. When you consider the fact that come April of this year this band didn't even have a lead vocalist, then the odds were seriously stacked against them. 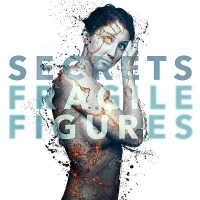 Yet, somehow, this five-piece band from California took the terrible situation they were in and turned it around as 'Fragile Figures' - an album which has become one of the best albums released this year. It isn't the best, but sweet Jesus it is up there with the big players. It is simply monstrous. 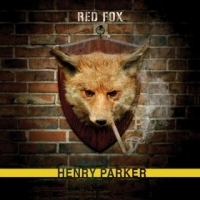 If I was to say to you 'Henry Parker's music is as fantastically addictive as the likes of Page, Clapton and Dylan's, then you would probably roll back your eyes and say something along the lines of 'How dare you compare an artist to such un-touchable greats?!'. That is until I thrust his new single 'Red Fox' under your nose, where I would sit and watch you eat your words quicker than Usain Bolt running the 100m. After winning NME’s 'Festival of the Year' award last year, there’s a certain pressure for Leeds and Reading 2013 to live up to previous success - no doubt about it. With some critics ostracising this year’s festival due to complaints that the line up is littered with ‘recycled bands’, coupled with an inability to sell out tickets and concerns about the strength of this year's line up, the future of the festival has been called into question. Open Mic UK Auditions Dates Announced! Have You Got What It Takes?